Your guests want to quench their thirst without a delay of game. 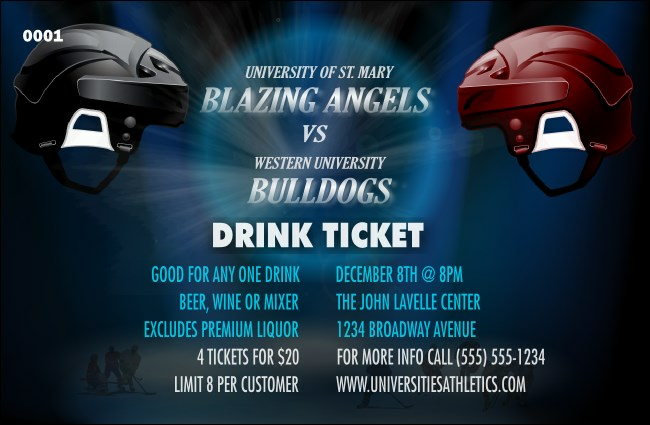 Let them grab a drink on-the-fly when you print Hockey Faceoff Drink Tickets and hand them out before the game! Each ticket features a blue and red hockey helmet posed against each other, symbolizing the exciting competition that both teams face. Win the face-off with athletic designs from CanadaTicketPrinting.ca.